Jennifer has over 7 years of experience in biomedical research with expertise in the fields of cancer and bone biology. She received a B.S. in Molecular Biology from Bradley University, where she was involved in animal physiology research for 4 years. 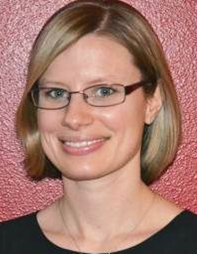 In 2011, Jennifer received her Ph.D. in Molecular Cell Biology from Washington University in St. Louis. Jennifer’s thesis research focused on analyzing the genetics of a mouse model for studying osteoclasts and the role of the ARF tumor suppressor in post-mitotic cells. During her academic career, she was also responsible for the critical review of scientific data spanning a broad spectrum of biomedical research. Additionally, Jennifer has held leadership positions for a consulting company that works with biotechnology start-ups. In this role, she focused on due diligence, market assessment, and interviewing key opinion leaders. Jennifer joined BioGenerator as an investment analyst in 2013.